h.e.l.p. Corner opens April 3rd! Beginning April 3rd, ICO will be lending walkers, wheelchairs and canes, to those in need! We are officially opening our h.e.l.p. Corner (health equipment lending program). Purchasing medical equipment can be pricey and prohibitive. 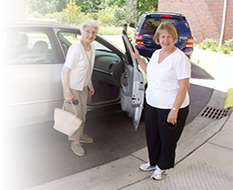 We can lend a h.e.l.p.-ing hand to Ozaukee County seniors and other residents who might not otherwise be able to afford it. A selection of gently used medical equipment can be borrowed for a $10 – $20 deposit. The deposit is refunded when the item is returned. We are also accepting donations of walkers, wheelchairs and canes in good condition. To find out more about the h.e.l.p. Corner or to make an appointment, please call (262) 618-2191.